The app is freely adaptable to specific communication objectives, issues and group settings in the desired corporate design. 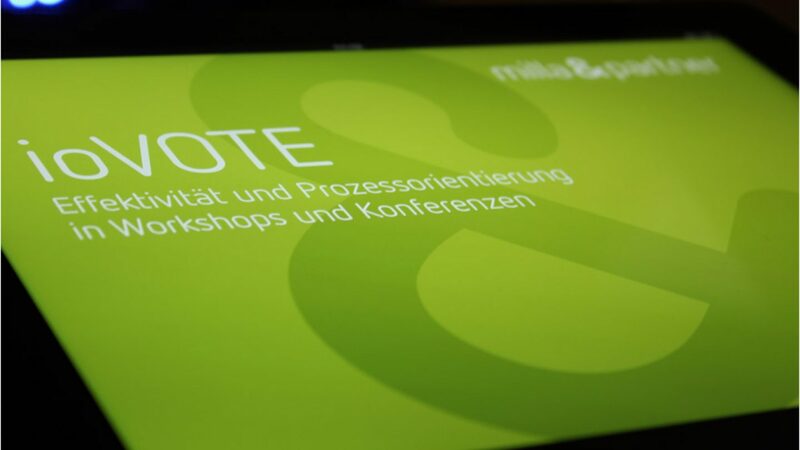 As pivotal instrument for the management kick-off of a new Siemens business division with 140 executives working on different strategic issues in groups of four, Milla & Partner together with ManagmentPartner created the customized iPad-application ioVOTE. This web-app does not use prefabricated modules, rather, it is designed for specific communication goals, issues and group settings – always in the corporate design of the company. 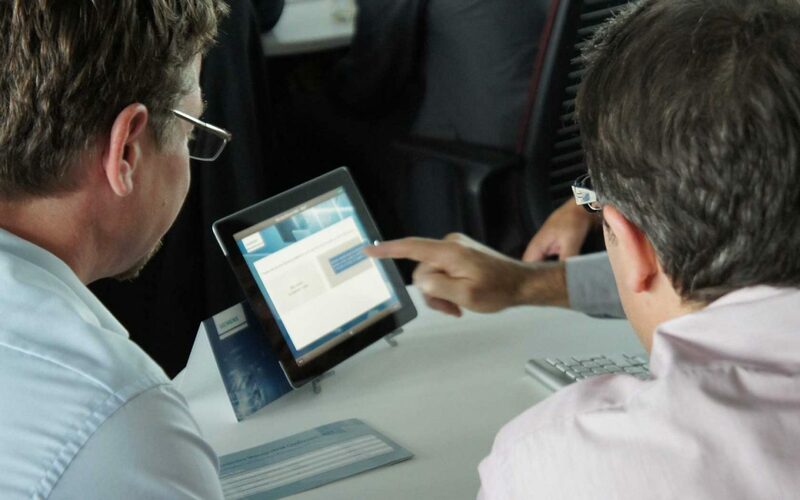 All data input is synchronized in real-time, centrally stored, analyzed and visualized. Results can be used immediately as input for the following questions and discussions within the small group or in plenary sessions. 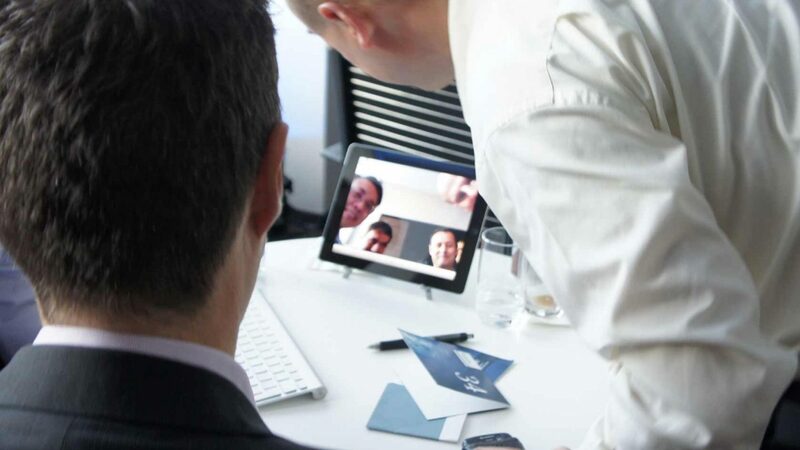 Interaction, animation, video statements and touch interface support learnings, involvement and motivation. 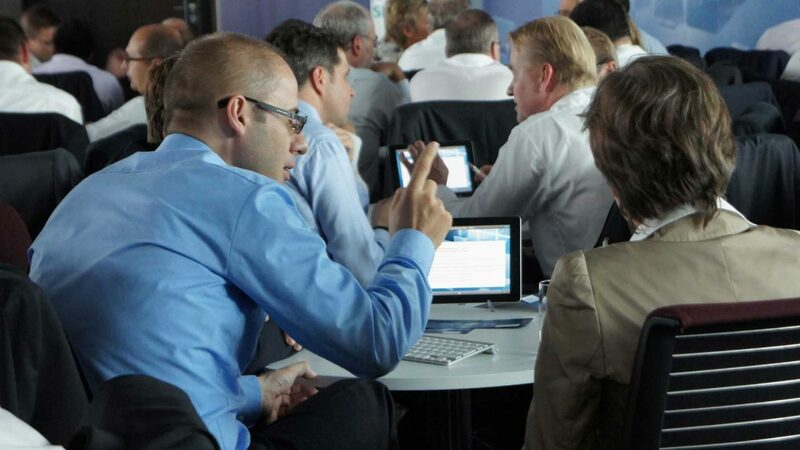 ioVOTE is suitable for the media support of workshops, conferences or trainings for group sizes from 20 to over 1,000 participants. Pre-event: Registration via intranet or internet. Additional online surveys help to clarify objectives and content in advance. Workshop situation: Questioning, learning process and problem solving are jointly edited and evaluated immediately. This enables immediate reaction possibility to results. Follow up: Documentation is carried out automatically. Feedback surveys can be embedded. Results can be included in subsequent events.